The full-service resident experience at Soho Lofts is further enhanced by attended valet parking and 24-hour concierge in its magnificent and soaring two-story lobby. 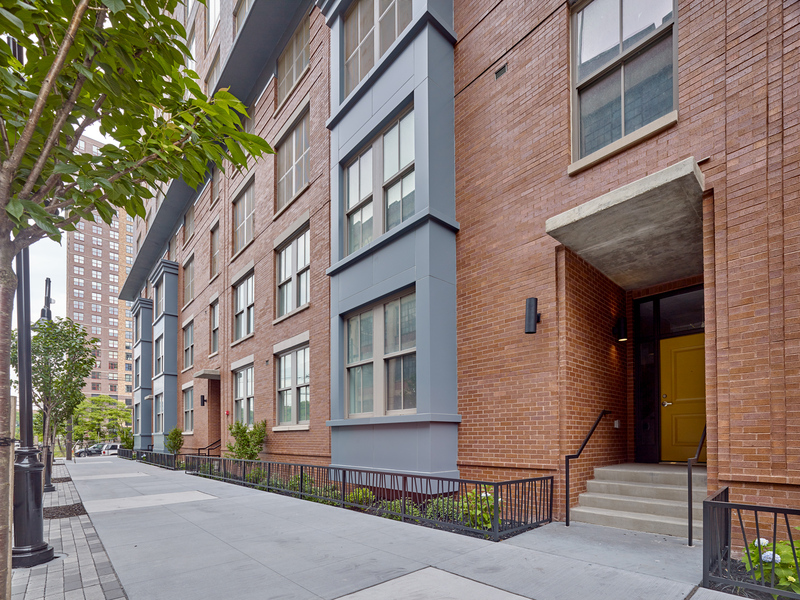 “It’s no secret amenities play a significant role in a renter’s decision and we believe we’ve created a comprehensive package that’s second to none in Jersey City’s rental market,” says Louis Mont, COO of Jersey City-based Manhattan Building Company. The unquestioned hub of outdoor recreation at Soho Lofts is an expansive deck featuring an Infinity edge pool with aqua jets and private poolside cabanas, outdoor shower, children’s misting system, fireside seating, movie theater, hammock area, Zen garden, resident event pavilion, gas grills, oversized dog park and children’s playground. Of course, the luxury and appeal of Soho Lofts extends well beyond its social and recreational offerings. Homes themselves provide lavish loft living with high ten-foot ceilings, expansive windows to bathe apartments in natural light, exposed duct work, European white oak flooring, luxury kitchens with designer cabinets, granite countertops, stainless steel appliances and lavish bathrooms with glass enclosed showers and maple vanities. Many apartments also offer magnificent views of New York City and Jersey City’s downtown skyline. Soho Lofts features one-, two-, three and four-bedroom apartments, as well as a limited number of private townhome rentals, ranging from 622 square-feet to over 3,397 square-feet. Monthly rents begin from the $2,000s. Immediate occupancy is available. Manhattan Building Company’s overall SoHo West neighborhood has quickly transformed the northern corridor of Jersey Avenue into a vibrant residential and retail destination. The completed Cast Iron Lofts Collection includes 387 apartments and 20,000 square-feet of retail space occupied by 8 Springs Studio, a Pilates and Yoga studio; Viaquenti Academy, a bilingual pre-school; Brewshot, a coffee shop/bar restaurant that has several other locations in Jersey City and NYC; The Art House, a non-profit that includes a 99-seat black box theatre and Cycle Mix, a spin cycle establishment. A 5,000 square-foot market is also slated to open soon. For additional information on Soho Lofts, please visit www.SoHoLoftsJc.com or call 201-268-7586. City Homes and Gardens is the exclusive leasing and marketing agent for Soho Lofts.